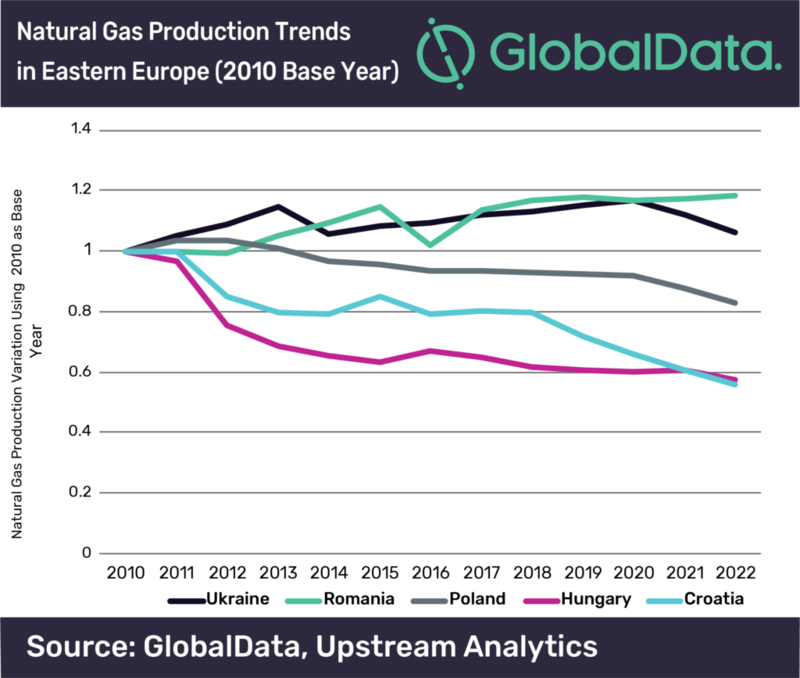 Despite ambitious expansion plans, gas production in Eastern Europe remains stifled by economic and political turmoil, according to GlobalData. The market intelligence firm says a swathe of countries bordering Western Russia are falling short of the targets they have set to turbo-charge the industry in the region. Its oil and gas analyst Alessandro Bacci said: “While the EU’s natural gas domestic production is decreasing, and as a result of this the EU is importing more gas, the EU has also improved its energy security via the construction of additional LNG regasification and storage facilities, the introduction of pipeline reverse flows, the elimination of restrictive destination clauses and the approval of new energy infrastructure. “Despite their attempts, Eastern European countries will obtain limited success at increasing domestic gas production as a consequence of both economic and political difficulties. “The licensing rounds may expand the number of licensees working in Eastern Europe, but production will still come primarily from legacy fields. Since 2009, the EU has increased its gas imports and they now account for almost three quarter’s of the bloc’s consumption, with Russia, Norway and Algeria acting as its chief suppliers. Russia, specifically, is looking to solidify its position as the continent’s top gas exporter by finalising the construction of two pipelines: Nord Stream 2, offshore the North Sea from Russia to Germany, and TurkStream, offshore the Black Sea from Russia to Turkey. GlobalData argues various Eastern European countries are trying to broaden their portfolios of natural gas suppliers by using new licensing rounds to spur investment, with Poland, Croatia, Ukraine, and Hungary are all offering new acreage.